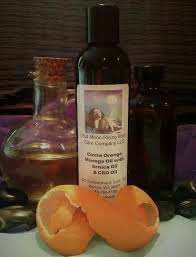 Full Moon Rising’s Cinna-Orange Massage Oil with Arnica & CBD Hemp Oil ($20.00) is a luscious, sensual blend of the company’s trademark arnica/CBD oil base, mixed with orange, cinnamon, and other essential oils. Obviously, it’s great for massages, but can also be used after a workout. This luxurious balm sinks into your skin, moisturizing your body and leaving you tingling and refreshed. Your sore muscles will thank you! The Lavender, Tea Tree oil & CBD Hemp oil Arnica Topical Salve ($15.00) utilizes the medicinal properties of CBD oil, lavender, tea tree oil (a powerful natural healing agent), and arnica. 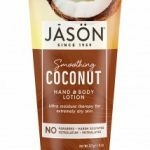 This dynamic combination is great for cuts, burns, bug bites, abrasions, or anything else that ails your skin. Lavender possesses proven aromatherapy benefits, creating an enhanced sense of well-being. 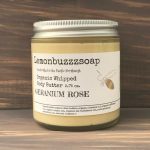 Note: Since the salve contains beeswax, it is not a vegan product. But vegetarians and other aficionados of organic products will certainly enjoy it. You’re on your feet for a large part of every day, so why not treat yourself to Full Moon Rising’s Orange Mint,Tea Tree oil and CBD Hemp oil, Arnica Herbal Foot Crème? ($40.00). This amazing product is worth every penny. It’s especially beneficial for diabetics, but everyone can enjoy its circulation-increasing properties. The elixir soaks into those cracked areas of your feet, restoring them to a smooth, supple condition. And it smells divine! When you purchase products from Full Moon Rising, you are supporting a small company, based in the Pacific Northwest. It’s run by Lisa Irons, who has 25 years of experience with the manufacture of body care products. She is also a massage therapist and uses her concoctions on her own clients. 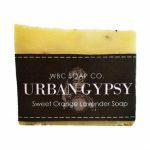 Note: Since Full Moon Rising uses beeswax in some of their products, this is not an all-vegan line. However, many of their products are safe for vegans, so be sure to check the labels. If you live in the Pacific Northwest, you’ll likely see Full Moon Rising items at your favorite street fair or farmer’s market. The rest of you can order from their website. They ship quickly! Full Moon Rising manufactures a bevy of cruelty-free, vegetarian products that utilize the healing powers of CBD hemp oil and arnica. The result is a high-quality, organic offering that soothes your body and your senses.